"In a way, we have also lost a son,'' Manon Marchand and Raymond Bissonnette said. Alexandre Bissonnette, a suspect in a shooting at a Quebec City mosque, arrives at the court house in Quebec City, Feb. 21, 2017. QUEBEC — The parents of the man accused in the slayings at a Quebec City mosque described the attack as "inexcusable'' and "totally inexplicable'' in a letter published on Wednesday. Writing to Radio-Canada in their first public statement since the attack more than a year ago, Manon Marchand and Raymond Bissonnette said they have been living a nightmare, but stand by their son Alexandre. "Alexandre is still our son whom we love and who will always be a part of our family,'' they wrote in a letter released by the French-language broadcaster. "Like all parents, we hoped to see him succeed and be happy in life. "In a way, we have also lost a son,'' they added. Alexandre Bissonnette is facing 12 charges, including six counts of first-degree murder, and his trial is expected to begin on Mar. 26. On Monday, commemorative events were held in Quebec City and elsewhere to mark the one year anniversary of the rampage at the Islamic cultural centre in Quebec City on Jan. 29, 2017. Six men were killed in attack: Mamadou Tanou Barry, 42, Abdelkrim Hassane, 41, Khaled Belkacemi, 60, Aboubaker Thabti, 44, Azzeddine Soufiane, 57, and Ibrahima Barry, 39. Nineteen others were injured in the attack. The family says they stayed away from the media in the past year and instead sent letters of condolence directly to the families of the victims through the mosque's director. 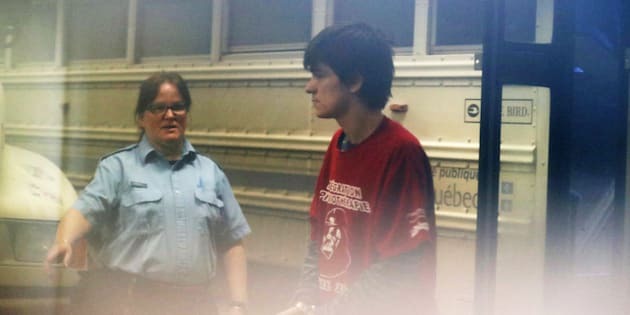 They also told the French-language broadcaster in a phone interview that they visit their son every week at the detention centre in Quebec City, where Alexandre Bissonnette has been since his arrest, but they don't know if they'll attend the trial. Since the tragedy, the couple and the suspect's twin brother have been receiving psychological help and they also thanked family, friends and strangers who've voiced their support for them. The family said they live in fear of reprisals and have been the subject of threats that have been reported to Quebec City police.